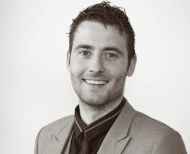 Paddy co-founded the company in 2004 and his strength has always been in Sales and Marketing. A native of Gorey, Co. Wexford, his family are steeped in the GAA and he is currently a member of the Wexford County Board. His goal in business is to help companies grow and prosper by collecting their overdue accounts and his experience of that regard is second to none. 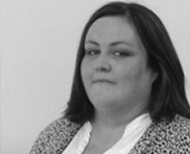 Liz leads a service team who use their skills and experience in applying overdue accounts collection strategies, which are calibrated towards achieving the maximum return for clients. LCMS staff understand that a ‘one size fits all’ does not work and so they tailor their approach to different situations and apply appropriate handling procedures to sensitive cases. This minimises the risk of reputational damage to the client, while meeting the objective of collecting outstanding monies. Helena is responsible for the overall running of the company. A qualified nurse, she worked with the National Health Services in the UK and HSE here in Ireland before taking early retirement in order to pursue her business interests. In the area of collections and credit control, she wants to see good practice dominating the market. Helena is continuously designing and implementing new CRM and data systems to improve the workflow for both her clients and LCMS staff, and reinforcing best practices and procedures for credit control to gain the best results. Her ambition is to position LCMS as the industry leader in credit management. 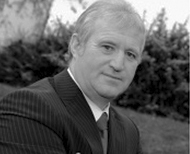 Derek is not a solicitor but he manages the transfer of large debts from LCMS to our legal partners. In this space he has considerable leverage to extract optimum results pre-litigation by applying a combination of tried and tested overdue accounts collection strategies. He provides information to his clients regarding the progression of files to litigation and subsequent Court actions. His aim is to achieve the best possible outcome for his clients, and to reach settlements wherever possible. 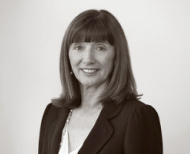 In cases where legal action cannot be avoided, he propels the matter to the Court system in an efficient and cost effective manner through our legal partners..
Having recently joined LCMS, Jenny's role within the company is to develop and maintain strong customer relationships and to provide a point of contact for clients to ensure that accounts referred are dealt with promptly and efficiently. Her goals within the business are to ensure that LCMS consistently provide a premium service to it's customers and to help position LCMS as the industry leader in credit management.